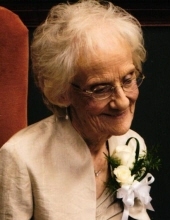 On Sunday, March 17th, 2019, as the sun began to rise, Betty Jean Stravers Howse entered into her eternal home, at the age of 93. Visitation will be Wednesday, March 20, 2019 from 1 P.M. until service at 3 P.M. at Spiritual Life Center Church. Burial will be in Forrest Memorial Gardens. Betty was born on February 1st, 1926 in Bondurant, Iowa, to Ed and Joy Stravers. So premature at birth, the doctor did not issue a birth certificate as he felt certain she would not survive the night. She not only survived, but thrived, graduating top of her class in high school, attended Bible College in Los Angeles, California and lived a long, full life. On March 3, 1949, Betty married Thomas Edwin Royals Howse. They raised six children. In addition to her six children, she has 22 Grand Children, 60 Great Grand Children and 6 Great Great Grandchildren. Betty was a dedicated wife of 59 years. She served faithfully as a pastor’s wife alongside her husband, Rev. Thomas E. Howse, for all those years. Together they pioneered several churches in Iowa, North Carolina, and Mississippi. Her love and dedication to the body of Christ was self-sacrificial and always sincere. While raising her children, she was insistent that all of them attend church no matter how frequent; this included Sunday morning service, Sunday night service, Wednesday night service and week-long revivals. She also worked as a legal secretary for many years. She enjoyed playing the piano, was an excellent cook and loved going to thrift stores to find the perfect deal. She was a prayer warrior and spent may hours praying over her children, grandchildren, and great grandchildren. Her kindness and deep caring for others is how she will be remembered. Betty was preceded in death by her father, Ed Stravers, her mother, Joy Boatwright Stravers, her brother Lawrence Marion Stravers and her loving husband, Rev. Thomas Howse, one grandson, Chris Howse, and one great, great grandson, Jacob Wordle. She is survived by her six children and their spouses, Robert (Linda) Howse, Beverly Joy (Charles) Batson, Edwin (Angie) Howse, Thomas (Debbie) Howse, Shirley (Grant) Hildebrandt, and Donna (Chuck) Powell; and her sister, Beverly Elrod. She will be remembered as a woman of grace and character but most of all as a woman of God. To send flowers or a remembrance gift to the family of Betty Jean Stravers Howse, please visit our Tribute Store. "Email Address" would like to share the life celebration of Betty Jean Stravers Howse. Click on the "link" to go to share a favorite memory or leave a condolence message for the family.